Spike’s Tactical is located in Apopka, Florida. 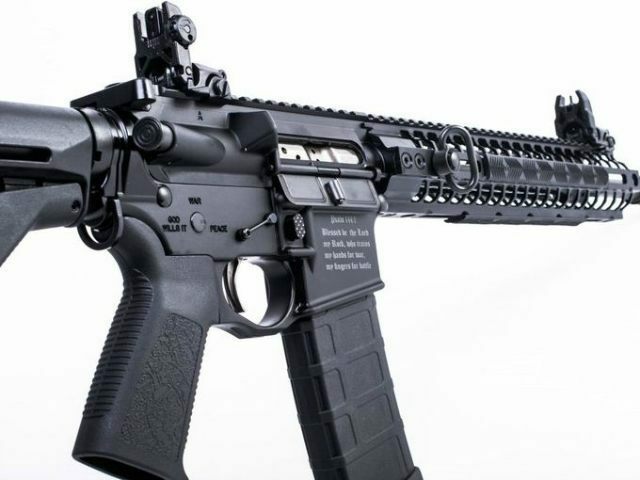 Along the AR-15’s safety lever are the Latin words “Pax Pacis” (Peace), “Bellum” (War), and “Deus Vult” (God Wills It). Peace is the gun’s safe position while “War” is the gun’s fire position. Right now and as it has been for quite some time, one of the biggest threats in the world is and remains Islamic terrorism. We wanted to make sure we built a weapon that would never be able to be used by Muslim terrorists to kill innocent people or advance their radical agenda.